**As different computers display colors differently, the color of the actual item may vary slightly from the above images. **Attention: please ignore the tag size comes with the cloth. The tag size sometimes can be a larger than our description size because those are for Asian. We are 1 or 2 sizes smaller than European Thanks for your understanding. 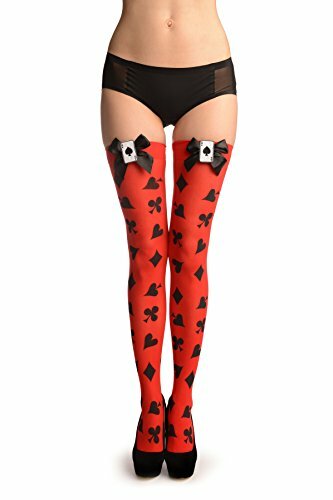 Red thigh high stockings, with cart suit print and an Ace of Spades card with ribbons on top. 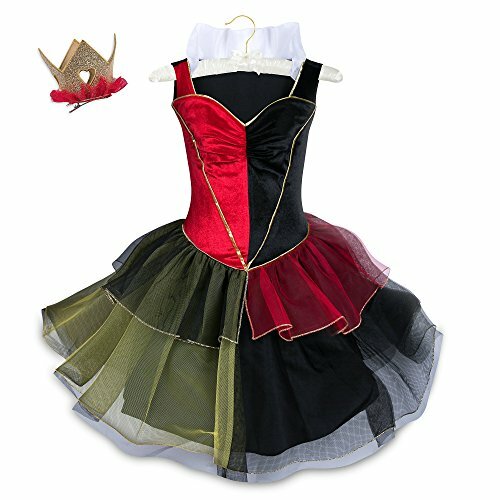 Cute Queen of Hearts tutu dress for kids, including a sparkly crown on a hair clip. This is so great… a flamingo handbag! Not only does it finish your costume, it is also useful to carry your wallet, keys and cellphone. Black thigh highs with red bow and black spade on top.